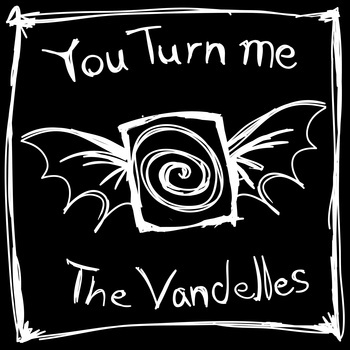 While they’re baring the burden of Hurricane Sandy, our favorite New York psychedelic-garage-rockers, the Vandelles have shared a creepy new Halloween single. You can download their new single, You Turn Me for free via their Bandcamp. The song is a reverbed, wild cover from Beat Happening’s ’92 song (and self-titled album), You Turn Me On. The Vandelles do a great rendition accompanied by a very badass video to boot! The video has a lot of classic Beat Happening video action mixed in with some Vandelles and sprinkled with a lot of weird girl-on-girl action. Not to mention, the other track on the single is a ghoulish electronic remix. It’s a perfect Halloween treat for your eyes and ears. Watch the video below and download the single here! This entry was posted in Songs, Videos and tagged beat happening, free, halloween, hurricane sandy, mp3s, new york, the vandelles, Videos on October 31, 2012 by Sandra Burciaga Olinger.